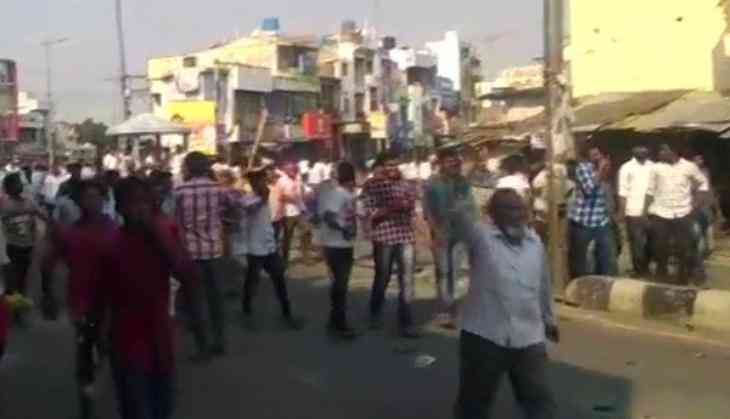 The town of Pulivendula in Kadapa district witnessed a huge friction between Telugu Desam Party and YSR Congress Party workers on Sunday when they clashed in the area after engaging in a war of words over "lack" of development in the area. The intensity of the clash was such that, one policeman was also injured, in addition to their vehicles being torched. According to reports, hundreds of workers from both the parties also pelted stones at each other, after TDP members claimed that no development took place in the town during Y.S. Rajasekhara Reddy's regime. This angered the YSRCP workers and the two sides clashed with each other. The clash created a chaos in the circle, which turned worse when the police tried to intervene, which is when their vehicles were torched. Character details of Bollywood actress Mandira Bedi from Prabhas' Saaho revealed! READ NEXT >> Character details of Bollywood actress Mandira Bedi from Prabhas' Saaho revealed!